Fillet Of Horn by Darol Dickinson. Featuring 34 accounts of buying and selling Texas Longhorns all over the world and the unique characters who may be cattle rustlers. Fillet Of Horn by Darol Dickinson. 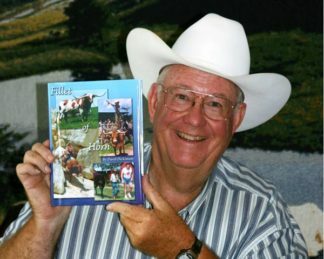 Featuring 34 accounts of buying and selling Texas Longhorns all over the world and the unique characters who may be cattle rustlers. For a recommendation on the content, ask Red McCombs, Gary Lake, Gov. Sarah Palin, Bill Farson, Ron Jones, Bob Shultz, John Wayne Bobbitt, Congressman Joel Hefley, or George Lucas. A fillet is the best tasting, most memorable, and enjoyable part of the horn. Now, some say you can’t eat a horn sandwich, and others say they’ve done it. Some like’em with Tabasco, and others like to eat’em with jalapeños. No matter what your taste, you’ll find this book to be spicy, enjoyable, and satisfying. The reader is about to digest a treat he has never before tasted. 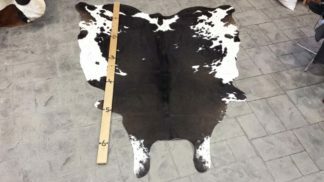 Fillet Of Horn stampedes from Colorado to Poland, Ohio, Canada, Africa, Holland, Texas, and the Philippines. This nonfiction account of escapades, ranch business, Texas Longhorn trading, stolen cattle losses and repossessions, will take the reader part-way into the old West, but not far enough from civilization that he can’t find his way back home at night. 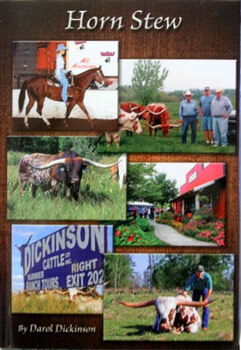 Along this Texas Longhorn trail, you will bump into folks who will surprise the horns off ya. Watch for Robert Mitchum, P. T. Barnum, Elizabeth Taylor, Andre the Giant, John Wayne Bobbitt, Red McCombs, Malcolm Forbes, Barry Goldwater, Ben K Green, Col. Oliver North, Rob Reiner, Arnold Schwarzenegger, Hulk Hogan, Ronald Reagan, John Wayne, Elizabeth Vargas, Richard Farnsworth, The Sultan of Brunei, Hoss Cartwright, and Congressman Joel Hefley. Somehow, they manage to co-mingle through the chapters of this book to play a unique role. These jam-packed, thirty two chapters are guaranteed to take you places you can’t get to from where you are. You will have to mosey down these cattle trails, smell the bull dust, watch for the distant patrol car, and spend some time under the drawbridge to really get the feel of it. Don’t be afraid. You are a safe distance from the branding fire even though a little singed hair never killed anyone. Take a chance. Fillet of Horn II is now available as an eBook and can be downloaded from major eBook retailers such as the Apple iBookstore, Barnes & Noble eBookstore for Nook, and the Amazon Kindle store. 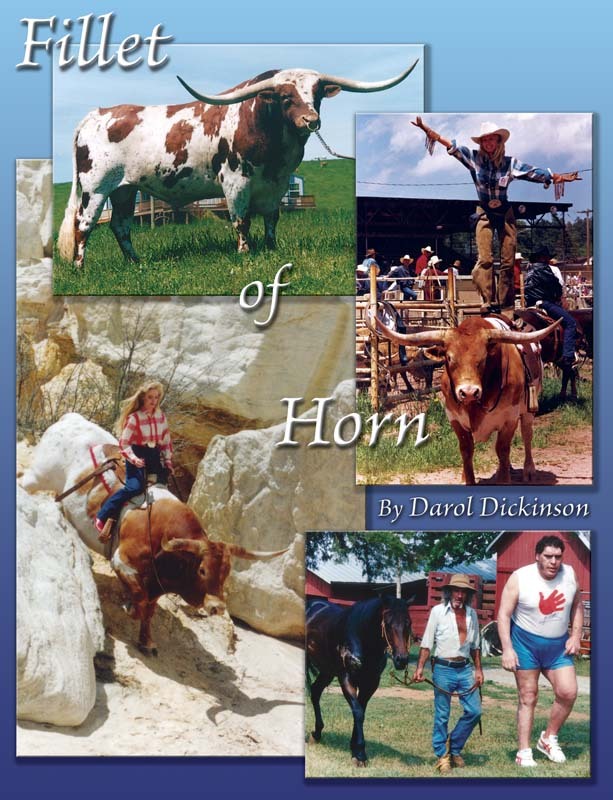 Please search for Fillet of Horn II by Darol Dickinson from your eReading device’s bookstore. Fillet of Horn II is available on computer or eReaders with full color capabilities. It is 435 pages, full color and 35 chapters. Other than a few names changed to protect the guilty, it is an autobiography. 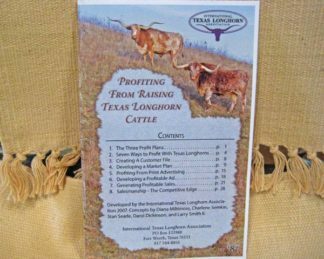 Accounts involve buying and selling registered Texas Longhorn cattle by the semi load and by the pound. The negotiations go from Canada to Texas to Poland and back. There are good and bad people in every chapter, honest ones and crooks. Four chapters document efforts to recover or collect proceeds on stolen cattle. Chapters record events where deals were made with Red McCombs, Col. Oliver North, Johnny Cash, Andre the Giant, Lynn Anderson, Blackie Graves, Sam Partlow, Dr. Ben K Green, Robert Mitchum, and Congressman Joel Hefley. 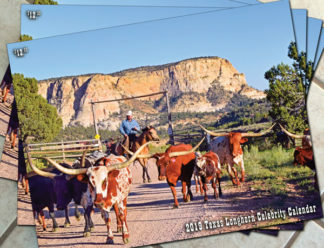 The content jumps from cattle to championship Quarter Horses, African Watusi, Dutch BueLingo then to the Western Art world and back to the comfortable Texas Longhorn pastures. Fillet of Horn, the original hard back, is partially contained in this eBook format plus several new chapters have been added. Fillet of Horn II is over 100 pages more than the original book. The most popular chapters are revised and remain in Fillet of Horn II.